We’re clinking virtual champagne glasses because hooray, it’s our 100th episode! We’re incredibly grateful to you all for tuning in! In anticipation of this milestone we decided to try something different and invited listeners to send in questions that we could play and respond to on the air. 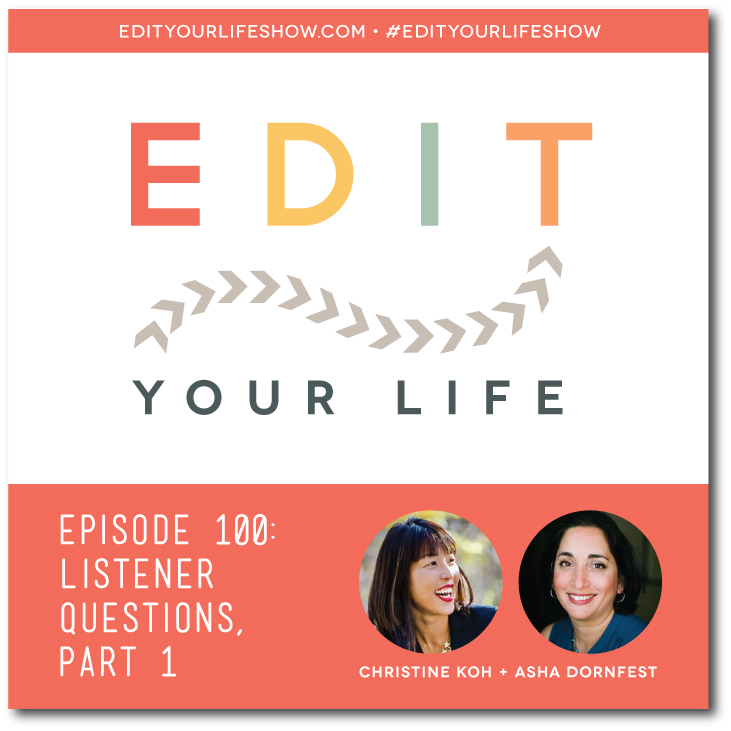 In Episode 100 of Edit Your Life, Asha and I cover family-related questions spanning siblings, self-esteem, technology, grades, and backseat organization.